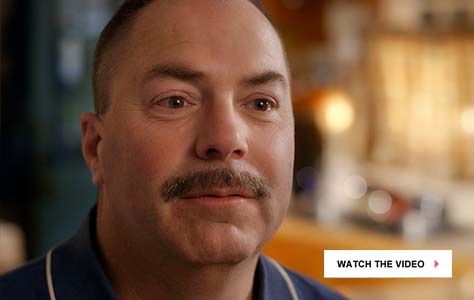 Stephen Kennedy’s Story - Fairlawn Brought Me Back - 28 years & thousands of comeback stories. Tell Us Yours! Stephen Kennedy had spent most of his adult life helping others. A U.S. Army veteran and volunteer firefighter-EMT, he loved being a paramedic. It was a way to give back to his community, offer people comfort, make a difference. But in the spring of 2011, in an ironic twist of fate, Stephen became completely dependent on the care of others. It was stroke that turned the tables on him. With pervasive left-side weakness and impaired reasoning, it wasn’t just Stephen’s career that was in jeopardy. Having just bought a new home with the woman he was about to marry, his entire life had suddenly veered off course. “I couldn’t even stand, never mind walk or feed and dress myself,” recalls Stephen, who was also emotionally paralyzed by the prospect of not being able to start the life he was so joyfully anticipating. That depression was very much a part of what Stephen hoped to overcome when he was admitted to Fairlawn. Fortunately, the intensive therapy he received did as much to alleviate his emotional struggle as it did to improve his physical one. 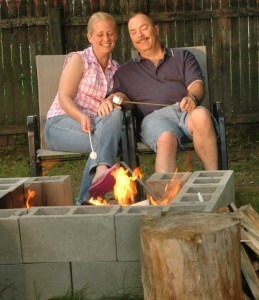 Tracey and Stephen relax at the backyard fire-pit he built after his stroke. By the time he was discharged, Stephen was walking. He was also using his left arm and hand to feed and dress himself. “I felt total joy and accomplishment,” he says. Stephen’s therapists are quick to acknowledge that he brought a tremendous amount of motivation to the table, giving him an unquantifiable edge in his rehabilitation. However, Stephen sees it another way. assistant at a veterans’ clinic.